July 22, 2014 is a very important day for Chatham County. Voters will have an opportunity to elect the next President of the Savannah/Chatham County School Board. Because the selection of the President of the County Board of Education is a Non-Partisan Election, the top voter in the July 22nd runoff will be the winner. Additionally, on July 22nd, Republicans and Democrats will select their candidates to run in the November 4, 2014 General Election for the positions of State School Superintendent, 1st District Congressman. Further, Republicans will select their candidate to run against Democrat Michelle Nunn for United States Senate. It is disappointing to think about the fact that only a very small percentage of the citizens in our community will actually cast a ballot on July 22nd. It is important for each citizen to vote in every election, but the very thought that many African Americans who will not vote is especially depressing this year when citizens are highlighting the 50th anniversary of the struggles that led to the passing of the Voting Rights Act of 1965. This year, we are commemorating the 50th Anniversary of Freedom Summer 1964 when more than 700 students from around the country traveled to Mississippi to participate in voter registration and voter education activities. 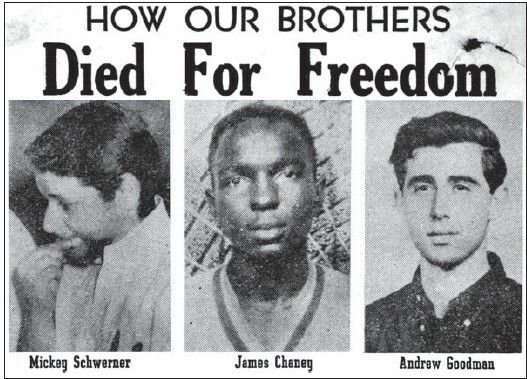 People like Andrew Goodman, James Chaney and Michael Schwerner were killed in Neshoba County, Mississippi as they tried to help Blacks get the right to vote. Prior to these activities, less than 7 percent of the eligible black voters in Mississippi were registered to vote. Now, Mississippi is the state with the highest number of Black elected officials. This year, those who want to roll back all the gains that Blacks have achieved have had some major triumphs. The unfortunate Supreme Court decision to weaken the Voting Rights Act by striking down the requirement that certain states with histories of restricting Blacks from voting must seek Federal approval before making changes in their voting laws is a good example. Obviously, the fact that so many African-Americans will not vote or understand the importance of voting is a source of grave concern and frustration to us at The Tribune. Voting is a responsibility of citizenship. It is our duty to help select our leaders and let our voices be heard on issues facing our community. Next Week, We Will Publish Our “Get Out The Vote Edition’ to help our readers make choices and pick the candidates who we believe will stand up for us. We hope that you will vote in the July 22 Run-off Election. Early voting has already started, and you can cast an Absentee Ballot, or by go to the polls on Tuesday, July 22. You should also make sure that your family members, friends and associates vote. We must vote to keep Savannah and the nation moving forward.